QOTD: How Did Your Youth Experiences Influence Your Life in Relation To Cars? In reading all the posts and comments on CC over the years it’s interesting to note how different many of us are in our opinions, experiences and preferences, yet we share the bond of having a common interest in old iron. Undoubtedly our views on vehicles are heavily influenced by our experiences in youth, just like many other aspects of our lives. I think back to my youth and I know that I was heavily influenced by the experiences I had in relation to cars. My love of old American iron originated from my dad. I can remember being a young boy sitting on my dad’s lap and looking at car books and magazines with him well before I knew how to read. Looking back, there were several significant experiences that shaped my views. 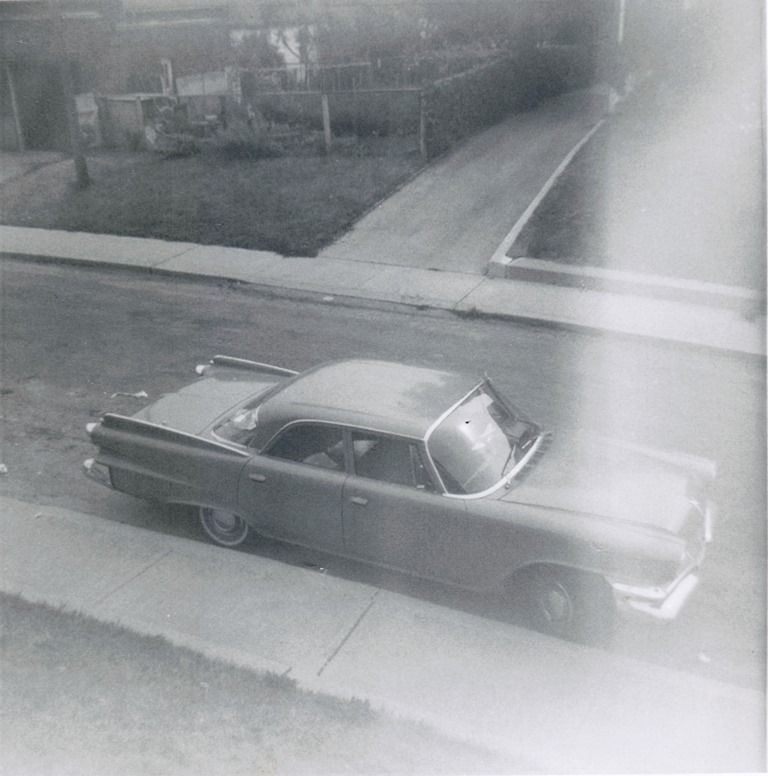 My family’s first car after coming to Canada, a 1960 Dodge Dart Pioneer that my grandfather help my Dad buy. My dad immigrated to Canada as a young child and my grandparents started this new life with not much more than the clothes on their backs. Despite this, my grandparents quickly established themselves and my dad grew up seeing how hard you had to work for nice things. My dad put himself through university, got a good career and started his own family but he never forgot his humble beginnings. As a result, Dad always took lots of pride in the vehicles he owned; as he would often say that cars were the second biggest life expenditures. He’d regularly wash, wax and keep the interiors immaculate despite having four busy children. He also generally kept his vehicles for long periods of time, which is probably why two of the cars I grew up with are still around today. Dad and I worked on cars when I was young, but not Jags! While not the most mechanical inclined individual, Dad did what he could at home to keep the cars in tip top shape. I learned to do grease, oil, and filter jobs, change wheels, and other basic tune-up work on all the family cars. I have no doubt that this was a major influence on me. It sparked my interest in mechanical automotive work, which I have taken well beyond the basics he taught me. Now that I have my own family, like my dad, I too take great pride at keeping my vehicles in tip-top shape despite my busy children. When it came to buying cars, Dad never bought more car than we needed, and we generally had pretty plain family cars. I remember him telling me as I lamented for a fancier family car, that our cars may not be the fanciest, but we own it, not the bank. The majority of my family drove the traditional “lower priced” brands of cars. Even when we did own a medium priced car, such as our old ’72 Skylark, it was a super plain Jane model with crank windows, no A/C or any other real luxury features. As a result today my preferences for vintage cars are mostly in the lower priced brands. While I can appreciate the medium and high priced cars, I generally don’t have the same connection or interest. Give me a plain ol’ Chevy or Ford any day. I have long had a strong interest in performance oriented vehicles. Looking back, there were two vehicles that sparked this interest. The first was my Dad’s ’72 Gran Torino Sport. While it wasn’t a serious performance car, the sporty styling, bright red paint, and magnum 500 wheels sure looked like it was going 100 mph standing still. Compared to most of the malaise era cars we owned, it sure was powerful and exciting. My dad, who was generally a pretty conservative driver, seemed to transform when behind the wheel of that Torino. He drive more aggressively, and liked to impress us kids when he kicked it down a gear to push us back in the seats and blow past slower traffic. It sure was a lot more fun than Mom’s wagon. My cousin’s Mustang was identical to this one. It was an awesome performance car for the time. The other car was also a red Ford. In 1989 my cousin, who had been driving little Honda Civics, finally saved up enough to buy his first brand new performance car. I remember him special ordering his 1990 Mustang GT 5-speed with all the performance goodies. I was so excited to see it when it was delivered. My cousin is a very good driver and spent years successfully competing in amateur racing. We sure had a lot of fun driving around in that car; he really knew how to push it to the limit! I even helped him with a few modifications on that Mustang, which really sparked my interest in performance modifications. So now that you know some of the influences in my youth, tell me about yours. Maybe like me you were influenced by your parents’ habits? Or perhaps you went in the opposite direction. Or maybe you there was a car in your neighbourhood that you fell in love with? Maybe your youth created a bias? What experiences of your youth shaped your world of cars? An excellent question that requires some thought. My family generally bought new cars so I experienced several. In my world of the 1960s-70s GM cars were everywhere and were the default choice of most people I knew. Two things kept me from this path: First, the two men I knew who knew the most about cars were definite non-fans of GM – one was a Studebaker guy (who respected Fords and Mopars) and the other a Mopar guy (who respected Fords). Second came my deep-seated tendency to go against the grain, at least a little. 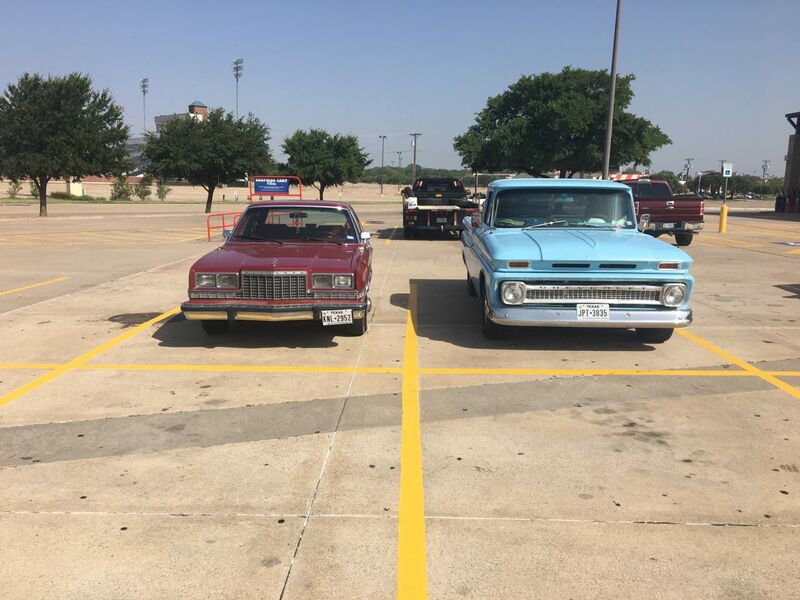 All of my early experience of owning and wrenching was on Ford and Mopar stuff, with a lone 63 Fleetwood thrown in for some variety. It also took quite awhile for respect to build for Japanese cars, but they eventually proved themselves, though again I was a later adopter than many. As an adult I have tried to reconsider some of my earlier ideas, but my “car home” is still mostly what it was. Except when I have spent real money on cars in recent years, which explains my all-Asian driveway. My (extended) family owned a lot of Volvos, so I developed a liking for them early on. (All of them were 7/9-series or FWD – somehow I have never even been in a 240.) Also, video games, especially the Cruis’n arcade games, Test Drive series, Gran Turismo 2, and many Need For Speed games. I’ve never liked going to church. Just not my thing. As a kid I had no choice. There was one thing that made it tolerable for me. In our congregation was a WW1 colonel who would give rides to us kids in his Model T touring car when the weather was nice enough for him to bring it. A couple of spins around the block was exhilarating to me. My uncle also had a T, but it was in a perpetual state of disassembly. He was always buying and selling. I remember him owning several classic Ford’s, a 1935 Hudson and many more. As a kid of about 8 years old I asked him how he always got such good deals on things. He opened up his wallet where he kept a $1000 bill. That was huge money at the time. He told me that opportunity knocks once so you’d better have cash in hand when it does. Pop loved gangster movies, and likely (being in New York) saw real-life gangsters. I’m fairly certain that’s what caused his love for big, black, American sedans. Early in my life, I followed in his footsteps. That’s what kids do. But as I developed into my own self, I started to see a folly in big American sedans. They were big, sure, but they lacked any practicality. My first car, a hand-me-down from Pop, was a Colonnade Malibu coupe. Big, sure, but somehow with a tiny back seat and an oddly shaped, virtually useless trunk. I decided I was far too practical for such things and shifted to small, efficient hatchbacks and wagons. My great grandmother used to help run a shop in NM with her husband back in the 60’s. She always had a keen interest in cars. My biological father was the type who could take anything apart and put it back together again. My mom even drove a 1975 280 Z as her first car. Generations of mechanics and gear heads flow through my blood. However, the spark that lit up my passion for old cars was seeing Herbie the Love Bug. Having grown up in the early 2000’s, my experience with modern cars were that no matter the brand they all looked the same to my young eyes. All dull colors with melted soap bar shapes. The VW Beetle was like a magic space ship, so curvy and made from thick steel, with an engine in the back no less! When I moved to Texas, my step father gave me his 1978 C10 pickup. In my 16 year old wisdom, I took for granted that it would always be there whenever I decided to work on it. Sadly, it was sold. My cars after that were all four cylinder imports that I couldn’t muster up any love for. Now that I bought my Fury, I have the chance to right the wrongs of the past and take care of my classic car the way she deserves! I find myself parking next to old cars in parking lots to take pictures side by side. My Dad first and foremost, cars were our common bond as long as I can remember. His choice in cars were always interesting to me, he never bought cars to be anynomous, they were always sedans but he’d make damn sure he liked them first and keep them until they developed clearly big problems. He’d keep them so well maintained and clean though he’d always manage to get decent trade in values for these cars with “poor depreciation”, despite them often needing major work mechanically (Perhaps that’s why I scoff at the notion of buying cars for their resale value.). We’d go to car shows and cruise nights, swap meets and even demolition derbies in the summer, which is also where we went to collect 1:18 diecast cars, which is a tradition we still carry on with our own collections to date. But my Mom too. She doesn’t like cars but in introducing me to TV and movies, she went way out of her way to find shows or movies for she knew would catch my attention with a car or a car chase in it. Everything from Knight Rider reruns, to chitty chitty bang bang all the way to Christine(the sanitized TV version she taped). I watched Sesame Street as a toddler, but I have only actually seen one muppet movie in my life, the Muppet Movie featuring the Studebaker, and that was no coincidence. You get the bonus points Matt! Somehow I am not surprised it was you who knew the film. I have never actually seen the entire thing, just the chase scenes that have been posted on Youtube. Having seen the full movie, I can say the YouTube clips are indeed all you need to see, in fact the suspense of that chase is almost completely unraveled by the second act. My parents have no interest in cars, and my dad never did significant work in them, or household DIY. He only learned to drive in his late twenties after meeting my mother. He told me he thought of Alfa Romeo as special, and when I asked why he said “just the badge”. He wanted a car with a stubby gearstick as he thought of it as sporty. I think being given toy cars at an early age stoked my interest, and I would be excited to see certain cars on the street, like Jags and old roadsters. Daft things like watching condensation waft from the dual exhausts of an XJ6 would captivate me. If I saw an unfamiliar car I would always want Dad to tell me what it was – I always liked old cars and I think my interest in American cars came from all the Hollywood movies and shows on TV (I grew up in Scotland). I like my American cars “American” – presumably I was interested in them because I didn’t see them on the street every day. I have a sneaking affection for Renaults because there were several in the family and my first car was an air-cooled Beetle, after I rode in one for the first time as a teenager and got this sense of it as a special machine from another age. As a kid I had a lot of exposure to steam boats, steam trains, old mines and factories turned into museums and have zero interest in video games but huge interest in machines which sound and smell like machines. Great question, I’ve alluded to some of it in past posts so I’ll try to be brief. My parents were both immigrants who came (separately, from opposite sides of the globe) to the US with very little. My dad was an adult whose family had never owned a car, and in fact he never learned to drive in his life. My mom was much younger and learned to drive on a farm tractor and later a pickup, here in the US. My parents met in Berkeley, California, which had (and still has) a large, “cosmopolitan” academic community which seemed to be at the forefront of the first import boom of the 1950’s, which I’m sure influenced the choice of their first car, a 1954 Hillman Minx. I do know that my mother would never consider owning a VW (Hitler’s car) or anything Japanese. They moved on to Volvo’s and only owned four cars over 48 years. My best friends’ parents owned perhaps a 50/50 mix of domestic and import, include a 356, a fintail, a BMW 1600 and a Series 2 Land Rover that I rode in regularly as a kid. So that influenced my early exposure and lifetime preference for smaller, more efficient vehicles, as well as a few trips to Europe which exposed me to cars that were unknown in the US. The complement to all this was frequent exposure to Hot Rod magazine and occasional trips to local drag strips with one friend and his dad (in their Country Squire) which also gave me a longing for a V8 and a 4 speed. My first car was a Volvo almost identical to what my folks had at the time, but I soon satisfied half of the muscle car itch with a Vega GT, then the other half with a TransAm a few years later. Ironically, other than those and a Ford Ranger, I’ve only owned cars from the WWII Axis countries … a few Alfa’s, four VW’s, a BMW, and a German-made Fiesta, a Subaru and five Toyota’s. Oh, and a Datsun and a Honda Civic. Plus too-many-to-count Japanese motorcycles, one each German and Italian, and two Spanish bikes from the Franco-era. By the way, though my wife comes from Mayflower-descendant Yankee stock, her parents also owned a pretty eclectic mix of cars when she grew up, and our automotive tastes complement each other fairly well. Her dad had various air-cooled VW’s when she was a kid, including a Ghia and at least one van, and she’s the primary driver of our previous and current stick shift, 1.8T Volkswagens … the former having been passed down to our daughter. Finally, as the child of thrifty academics, I intellectualize my hobbies (learning the history, researching facts that others consider trivial, reading others’ analysis and opinion), but ultimately I’m fairly practical and cheap with my own automotive purchases. My grandfather was a member of the local antique auto club for many years. My earliest memories of cars are all riding in his antiques. The ones that stand out in my mind are the 1928 Ford Model ‘A’ coupe, and the 1940 Chevrolet Special Deluxe coupe. He had quite a variety of them, but he was not loyal to one brand in particular. Even his daily drivers were assorted. I remember a Plymouth Caravelle (80’s), and a couple of Buicks. My other grandfather was a salesman who only bought big Fords. He had a succession of Mercury Marquis, Grand Marquis, and Crown Victorias. My father was and still is a Ford man because of this. I can remember a long succession of Fords in his driveway. Now there’s an F-150 and a Toyota. All of this made me appreciate a variety of cars. While some of the Ford love has brushed off on me, I’ve owned many different makes and models. The antiques have given me an appreciation of restored cars and the work that goes into them. Hot rods are OK by me, but I much prefer cars that have been kept original. The antique car love has manifested itself a little differently in me, though. I like vintage travel trailers and have owned a couple. My current project is a 1973 Travelux 29′ trailer. My father was definitely not a car guy; all he wanted from his cars was that they got him back and forth to work, and other places he needed to go, with a minimum amount of trouble and expense. He would purchase one of the low priced three (used, of course) and then drive it until it no longer made economic sense to spend money on the car. No, my love for cars came from various uncles, my father’s younger brother and several of my mother’s brothers. My mother’s family mostly lived several hours away so I was more influenced by my father’s brother; the first car of his I can remember was a 1951 Mercury four door, with the suicide back doors. This car was everything that my dad’s cars were not, it was (or at least seemed) fast, it was loud and it was painted bright yellow. I learned later that the Mercury was not a particularly good car (it ate water pumps, was hard to keep in tune and tended to overheat); in any case it was replaced by an Olds Super 88 not long after my uncle and aunt were married. To the six year old me the Olds was even more impressive than the Mercury, again it was a lot of the things that my family’s six cylinder Plymouth was not. I’m no longer as obsessed with cars as I was as a child but I still like to drive and still like to drive cars that excite me. May everyone have a safe Fourth of July holiday. 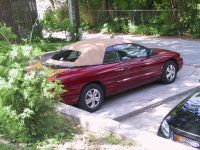 Years later I had my own big Pontiac of the same era, a ’66 Bonneville convertible that I drove for 17 years until 1991. If it were up to me, all Americans would have a car like these in their past. For most people, obviously, these 222-inch-long cars would be a little impractical here in 2018 – not to mention the near-total lack of either pollution controls or active and passive safety features. Just an EGR valve and lap belts and a little padding along the top edge of the dashboard. Bias-ply tires, no optional disc brakes, no standard energy-absorbing string column (the latter two changed for ’67, at least). Evidently I can’t even think about 50-year-old cars and me driving them without being glad my own kids have relatively modern (11-year-old) safe cars to drive. I grew up in a Chevrolet dealership. One kid in my elementary school class was the son of the Ford dealer. Another kid two years behind me (and whom became a long term friend of mine)became the Dodge dealer thirty years later, having taken it over from his father, who was my dad’s used car manager during the Chevrolet days. Influence? You mean there was life outside of car dealerships? Probably the two biggest single influences on me were: 1. Riding in the first Corvette dad brought home (1953) before he traded it off to another Chevy dealer for two Bel Air hardtops, and, 2. For my high school graduation gift (1968) dad bought me a 1937 Buick Special 2-door sedan. Which got me seriously involved in the local AACA chapter, and years of antique car (later motorcycle) shows. Up through my preteen years, my Dad worked out of town by was home every weekend. Mom had a drivers license but I can only remember her driving once, and that was in an emergency situation. I’m from a very small town in southeast Ohio, so that arrangement worked OK for us. Still getting any kind of ride in a car was a big deal for my brothers and me so weekends spent with dad & mom and taking Sunday drives & such were extra cool. My dad’s earliest car that I can remember was his “Ford orange” ‘57 Fairlane 500. A two tone Coral Sand and Colonial White beauty. After that one was totalled in a rear-end accident, his next one was a ‘48 DeSoto 4-door. 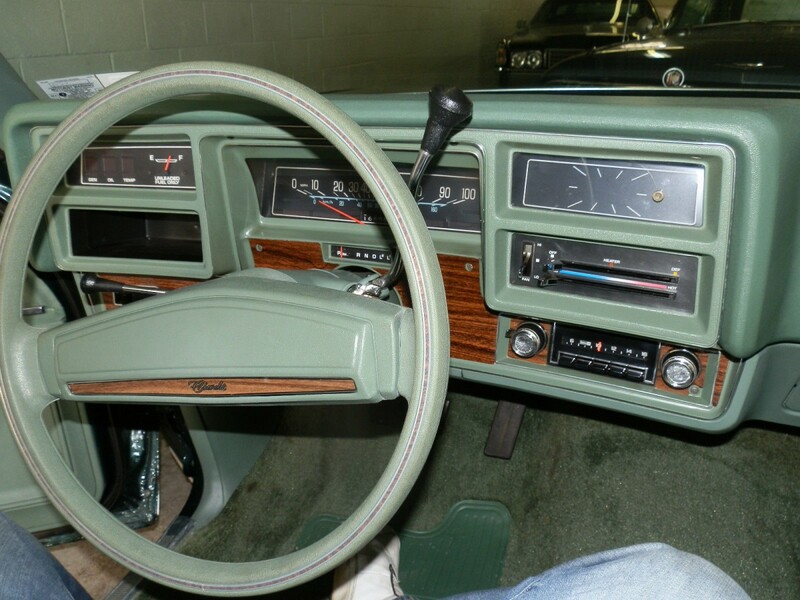 I can still remember the tunes that came out of the AM radio in that gleaming Wurlitzer style dashboard! Also I still have the carburetor that I “helped“ him replace when I was about five. Click and Clack on NPR often talked about the superior reliability of Dodge Darts. My first car was a four-door ’63, followed by a ’67. The guys were right. Today, my 2013 Hyundai Sonata has almost the exact dimensions as the ’63 Dart. I haven’t strayed far. My father was a blue collar cold header foreman at an plant that made fastners for Ford/Mazda. He was too poor to have regular auto service. He fixed and serviced everything. So I and my brothers grew up in a garage that was spotlessly clean, organized, heated and had every tool possible. We didn’t buy cars that ran – we bought cars that could run, and made them run. My brothers became expert gear-heads and I became the auto historian. We bought, restored, and resold many great cars over the years. None of us have careers with cars, but like our father before us, we love cars. My older brother diagnoses my Ford over the phone with more accuracy than my Ford dealer. He knows everything. My younger brother is an engineer and builds things never before seen. I can bore anyone except regular readers here about socio-history, as reflected through vehicular trends of the era. Buying a used car and making it run: Priceless! Our family never bought new cars and some of our cars were pretty far down there in the used car food chain. It always gave me a different perspective on what makes a good car. You would think a good new car makes a good used car so any Toyota or Honda is a great deal. Ford and GM make less reliable cars so these are bad used car buys. BMWs are expensive to fix so buying one without a warranty is an awful idea. Things really aren’t that simple though. A clean low mileage Accord will be snapped up by a dealer double quick. Grandma’s clean low mileage Cutlass Ciera will sit and sit and sit. The dealer doesn’t want it, the son or daughter doesn’t want it, and you can get it for a thousand bucks and a smile. People will polish up a beat to death Camry because they know there is a quick buck to be made. A beat to death 2000s Taurus will be scrapped. As for BMW parts are expensive and mechanics are not cheap. I’m not gonna lie and say they are. BMW owners tend to be well off, the cars are garaged, and many keep excellent service records. Even with all that most prospective buyers will run for the hills. If you play your cards right you can get a well maintained 60,000 dollar car for 30 or 40% of the original cost. One summer I bought a 20 year old BMW K bike. It had some cosmetic issues but it came with maintenance records, optional luggage, and some brand new unmounted tires. I payed less than a lot of questionable Japanese bikes. The K bike didn’t really fill my urban commuter needs so I ended up selling it. Out on the open road it was a chariot of the gods. You could cruise at 40 or 70 or 100 and the bike doesn’t shimmy, feel out of breath, or even feel like it’s working hard. People have biases and supply and demand are funny things. Poke around and feel the soft spots in the market. Maybe that Ford Fusion isn’t the Camry you wanted and maybe it’s not as good as an Accord. My guess is the dealer really needs to move it and will give you a heckuva deal on that trade in and those factory and dealer incentives will be mighty tasty. Camry vs Fusion I would probably go Camry. Camry vs Fusion AND a new deck I’m going Fusion. I’m not gonna grill on my lawn like some prole. This is actually very easy for me to answer. My first automotive experience in the early 90s was illegally traveling from Skarzysko, Poland to Madrid, Sp in a bright green Opel Kadett. Some of my earliest memories are in this car. Most vividly I remember my grandmother’s face as she cried and gave us a glass jar to pee in. I’m sure it was bittersweet, there were a lot of reasons for us to leave Poland at that time both personal and political. We visited my aunt in Frankfurt, made it to Amsterdam then Paris and eventually made it to Madrid. After 4 years in Madrid we received our visa to go to the United States. Our first vehicle here was purchased for $500, it was a rusted-out Dodge “Shelby” Charger. Nothing in it worked. No a/c, no heat, it just got from A to B. I don’t know why I always paid such close attention to cars, possibly because I spent so much time in one traveling across Europe, but I remember every last detail about this car. It was a fire engine red but the rubber/plastic front clip was much more sunwashed than the paint, leading to the front clip of the car to look a much brighter pastel kind of red than the rest of the car. It had steelies for wheels and a ridiculous bright red and plaid interior. At the time our whole family (moms new husband, my sister, mom & I) were a bunch of immigrants living in an attic unit rented in Elmwood Park. We started out on the West Side but our property kept getting vandalized so we moved to Elmwood Park. I remember the car being broken frequently, so the adults in the family decided on another car and a new apartment. So we purchased a 1985 Oldsmobile Delta 88 Royale, dark copper exterior and bright red interior. I loved this car. I think out of all of the vehicles I grew up with, this one I am most fond of in my memory. I still want to restore one to factory one day. I remember we got in an accident with it, a 93 Altima hit us head on and totaled it. We suffered a cracked turn signal lens. After this I understood what people meant when they talked about old American iron. In my mind, this car was an indestructible tank and I can’t wait to own another one. After this we had a series of vehicles, a 93 Corolla, Ford Aspire, F-250s, X5, Blazer, Trailblazer, ’99 Lumina, ’03 Regal, 2 Cavaliers, a n-body Malibu, GMC Sierra, Camry Hybrid, GLA250, a CX-5 and now we’re waiting on a Model 3 Tesla. We’ve come a long way from living in someone’s attic. I’ve been nuts about convertibles since I was about 3 or 4, when I’d see our neighbors across the street drop the top on their white-green two-tone ’57 Buick. I was mesmerized; nobody else on the block had a convertible, and the concept of driving in the open air fascinated me. 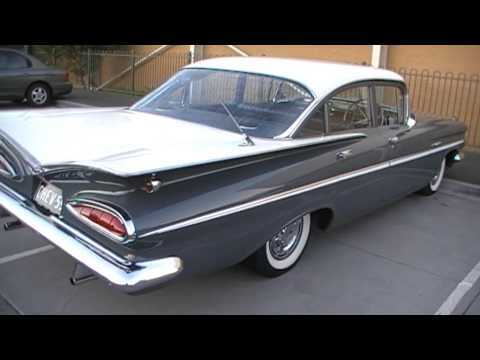 Then, in high school, I got to experience riding in a convertible for the first time, when a buddy would borrow his dad’s metallic blue (with the white stripe) ’60 Impala, which would cart five or six of us around town periodically. I usually was planted in the back, and the feel of the constant breeze on my face was exhilarating. I was hooked. For years, I never did anything about it, though. In college, I was in the market for a cheap used car, and I looked at a ’65 Impala convertible, but the roof was in need of replacement, and that was a little much for a poor student’s budget. The fact that I looked at the car on a snowy winter’s day helped prod me to pass on that possible purchase. Years passed, and I got married and, then, a couple of kids came along. I pretty much gave up on the possibility of ever owning a convertible, because I figured that was perhaps the least practical vehicle that somebody with that kind of responsibility could own. My wife, though, always was aware of my dream of owning a ragtop, and I was somewhat stunned when she actually encouraged me to buy one. Indeed, she found one that suited our purpose — a ’96 Sebring. It was about five years old, and its odometer read 49,000. 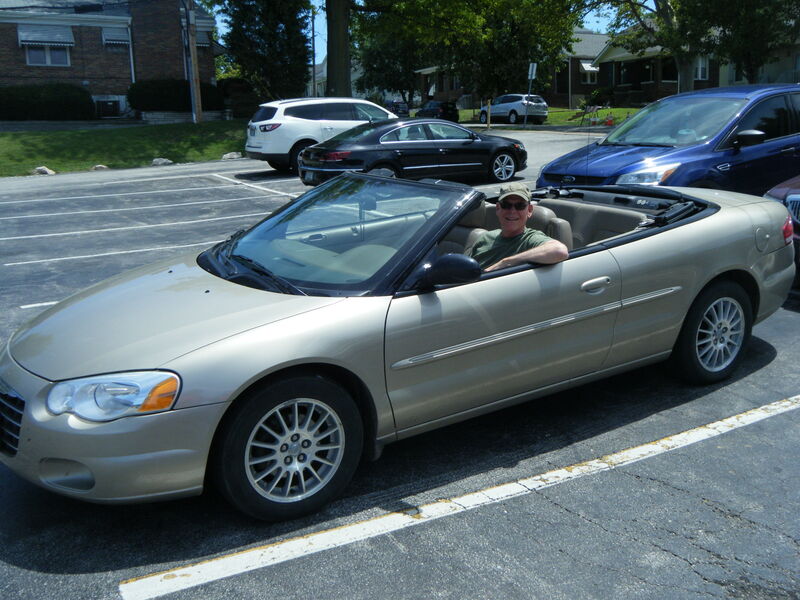 The price and odometer had the right numbers, so we traded for it, and I have been a convertible owner ever since. 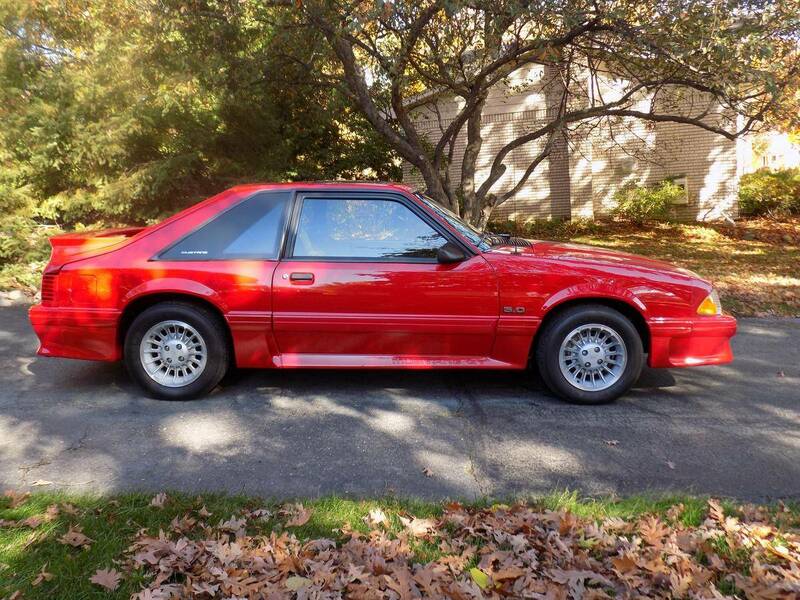 When that car was spent, my bride spotted another real find, a ’94 LeBaron with low miles and a new top. 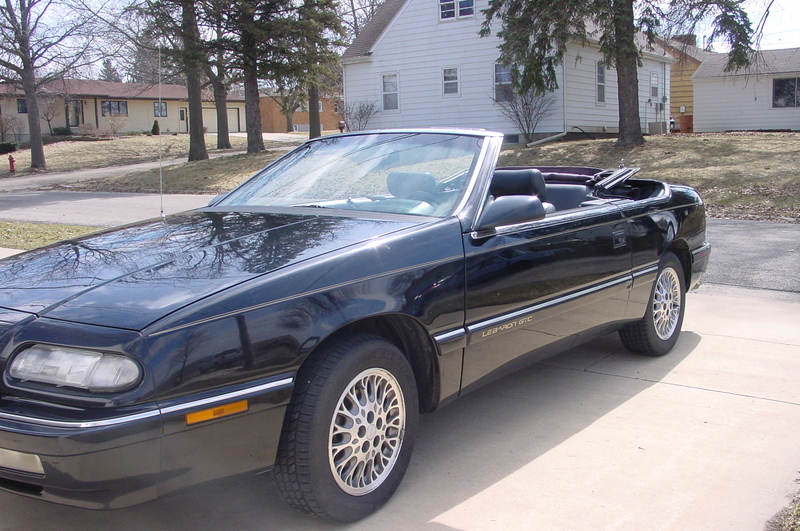 We sold the Sebring — which, then had 175,000 miles, and replaced it with the LeBaron. 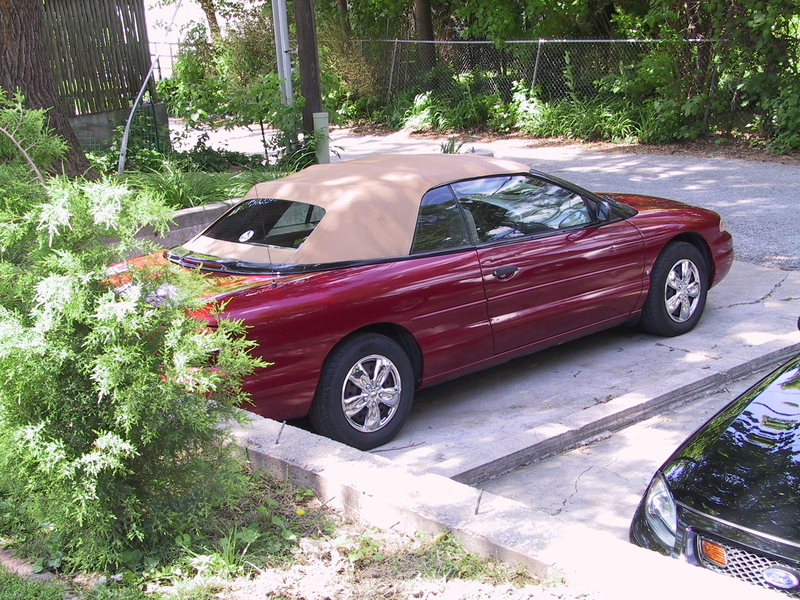 Five years later, my wife yet again found another convertible — a 2004 Sebring with 49,000 miles, and we traded in the LeBaron for that one. I still drive that as it approaches 130k. Still plenty of life left. I’ve said it many times: There’s nothing quite like the feeling of sheer joy that open-air motoring brings to me. And, God bless her, my bride takes a lot of pleasure in seeing the happiness it brings to me. 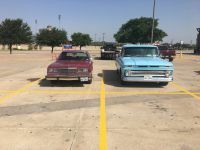 It all started by watching neighbors get in and out of an old Buick that truly stood alone in a neighborhood of station wagons and four-door sedans. That’s a great story about the convertibles. It reminds me of my Dad who always wanted a convertible. He almost bought one in 1972, but decided against it because he needed a car that my grandparents would feel comfortable driving in (and they did not like convertibles). Long story short, he finally got his convertible 40 years later, when he bought a 2012 Corvette. He is loving the drop top in his golden years. Here’s one of me at the wheel of my current ride on a trip to my hometown, St. Louis. Might as well include the first. This car taught me first-hand about the importance of proper drainage. There was no garage protecting it from rain, leaves, dust, sap and other elements. In heavy rains, I soon learned, this car would collect water instead of drain it, and the floors would flood. I’d have to run it to the neighborhood car wash to vacuum out. I had take a hammer and tap the drain ducts in several places to get them to let water run out. Neither of the other cars had this problem. Apparently I’ve always been into cars. At an age just learning to talk, I would point out and identify cars on the street. I never was into ball sports ,kind of a disappointment to my Dad… but he found out I would beg to watch NASCAR. I then learned all the drivers names and what they drove. This was in the heyday of the early ’70’s on. Great times. I played with Tonka trucks outside, and had Hot Wheels and a racetrack set up in my room. Thundershift 500! After my father’s untimely death in 1976, Mom eventually remarried. My stepfather ran his own autobody shop. Guess how I started earning a wage at fifteen. This led to a career of employment in autobody shops, detail shops, and a very interesting three year stint in a wrecking yard. Oh… I was brought home as a newborn in a new ’66 Impala. An SS with a 396 and a 4-speed. It was the family truckster until my sister arrived in late 1970. Someone posted a QOTD a while back on chose a car from your birth year. I’m sure the Impala imprinted on my automotive tastes. Gee, I would have to say that my father’s friend was a greater influence on me in my youth when it comes to the cars. The most memorable experience was riding in his Citroën DS21 in the parking garage. He was showing off its ‘ability’ to cast the light into the direction following the angles of front wheels. Not to mention its hydropneumatic suspension system. My father went through different types of cars that were either available on the cheap or easy to fix for the ‘under-the-shade-tree’ mechanic in the 1960s: Volkswagen Beetle, MG Morris 1100, BMW 2002, Alfa Romeo 1750A, etc. When he was assigned to the American office in 1974, his fleet car was exclusively American and, curiously enough, only Chevrolet. Our first American car stuck to my mind because it was our first-ever estate and car with air-conditioning and V8 motor. My father was very eager to unleash the entire V8 power once in a while. In 1978, we hired a Mercedes-Benz 280SE during our first winter holiday in Germany. It was the first time we had hired a car for our holiday. In the previous holidays, we rode the trains or in our friends’ or relatives’ cars as well as borrowing their cars. I was besotted by this car and became a diehard Mercedes fan to this day. We got our first Mercedes-Benz, a 450SEL, in 1982. After moving back to Germany, my father continued with Mercedes-Benz, going through four different ones before he passed away in 2016. The photo of Malibu dashboard had a placeholder for the clock. 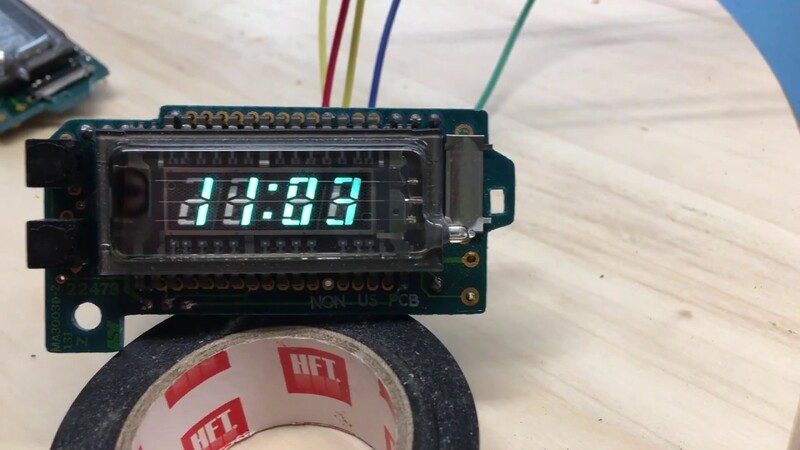 My father, being an electrican engineer, assembled a digital clock kit from the Radio Shack part bins similiar to the photo below and put it there. My friends thought it was the most far out thing ever. So from this direction came no real influence to my view of cars. But in the block I grew up was a repair shop for old british iron, mostly BL stuff. Maybe this is the reason why Jaguar is one of my favourites. Some day, some day! The love for american cars came through all these US made movies and tv show I grew up with. They were exotic here on geman streets, especially in my neck of the woods. It was one of the highlights when visiting my grandparents in Berlin to see some US cars there and of course the doubledeck buses. My Dad had (and still has) a lot of influence on my love of cars and taste in cars. Even though I am (mostly) a Ford guy, my love in the sixties and early seventies was Chevy. Why? Because at a very young age, my Dad started teaching me how to identify all of the years and trim levels of the Chevys he remembered from his Dad’s first (and last sadly) car, a ’53 Chevy. I was brought home from the hospital in a Tri-Five as you all call them around here, a 1956 Model Two-Ten Four Door Sedan. 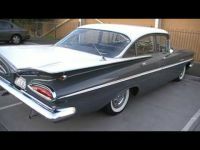 With the exception of the 1960 Dodge Dart Seneca, looking a lot like the second picture down in this post except in coupe form, I grew up with Chevys, specifically a ’66 Impala fastback and a ’68 Impala Custom. My Mom and Dad were of the then-common-mindset, that 2 doors were safer than 4 doors when you have kids. That ’56 Chevy 4 door I mentioned above was traded in almost immediately after I was born. Then Dad buys his first (and only up until recently) Ford, a 1973 LTD. I’ve told this story here before, but today’s QOTD makes retelling it so worthwhile to me. Sorry if I am boring you all. J P Cavanaugh knows the story of how I found CC, so I’ll spare you all the ‘Bloated’ story again. Long story short, this became my first car. I stayed a Ford Guy and Dad went back to GM. Chevys, Pontiacs, and Buicks, Oh My! Me, I bought a Fairmont Futura and then a whole lot of Thunderbirds. Dad was still doing coupes with an ’80 Bonneville and ’85 Grand Prix. Eventually he moved on to 4 doors with the kids gone (or at least old enough, and hopefully smart enough, not to fall out of the back seat! ), he got his first sedan since the ’56 Chevy when he inherited my uncle’s ’84 LeSabre. One big way my Dad and I differ greatly in our appreciation of cars: I keep mine a LONG TIME and put HIGH MILES on them (but keep them looking as new as possible all the same). My Dad OTOH, from whom I get my love of detailing a car (he’s now 80 and yes, to answer Heath’s QOTD from yesterday, he is still a Waxer), has a different philosophy. He hasn’t seen the inside of a tire shop since the late eighties or early nineties. He trades his cars in before the tires are worn out. Wow Dad, Really?!?!?! Love you, man! ? Rick, I had never read all of your car history before, so thanks for sharing (it wasn’t long winded IMO). Thanks for sharing! That’s not all of it, having boiled it down a bit in an attempt to parallel mine and my Dad’s choices. If I ever get the time, and Paul and the gang will have me, I’d love to do a COAL series. Of course part of that is getting over the fear of writing and publishing here, but I’m kinda doing that now anyway as a member of the commentariat. I may actually start with my Dad’s cars… at least up to the point where I was getting my own with some overlap perhaps. He’s had way more cars than me. He’s older than me by 22 years, and therefore has had more time. But the frequency with which he gets a new car outpaces mine considerably, contributing to that far greater number of cars than my history. I’ve commented on his cars as well as my great uncle’s cars here before, and how my uncle always had to upstage my Dad every time my Dad got a new car. That was always fun growing up, especially for a car guy. My Dad’s whole side of the family (the guys, anyway) were all car nuts. My Mom’s side, eh, not so much, although I think her Dad may’ve had a Studebaker before I was born. I’ll have to ask her. It may’ve been a Nash Rambler for all I know. Great topic today, Vince. It’s really cool seeing everyone’s stories. 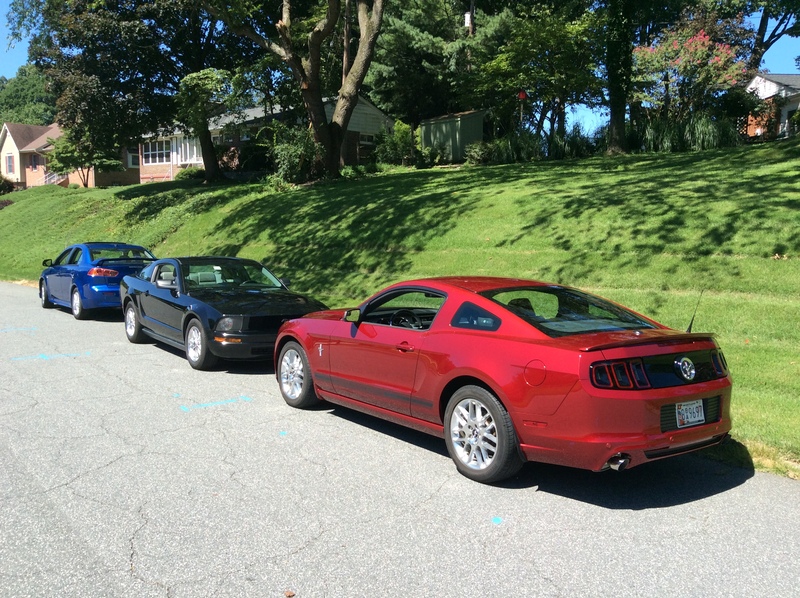 I’ll leave you with this pic of father and son Mustangs from a couple of years ago…. It seems like we share more than a name and nearly identical cars. I always kept my cars a lot longer than my late Dad did,too. He almost always drove four doors. Interestingly enough, my brother and I almost did fall out when the rear door flew open on our ’53 Ford when I was in first grade. 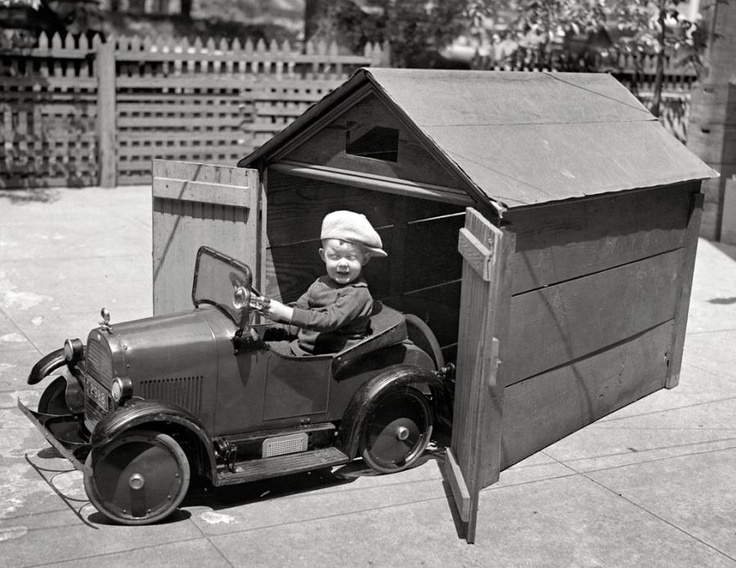 I think Dad was driving, but that was unusual since he had a new company car every year and used it as his own. Mom always drove the ’53 which was only a couple of years old then. 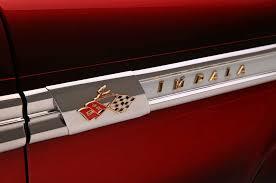 In fact, he got his first of only 3 two doors, a ’64 Impala, when I was in high school. Well, that is if you don’t count the two Pintos and the one Mercury Bobcat he later commuted in. But they always also had a nice four door for Mom to drive. The last time I owned a four door was in high school. Since then it has always been two door cars. I never before thought that my 3 girls were safer because of that. Dad could never believe that I never bought a sedan or wagon. I should have told he that all those bucket seat, manual transmission coupes were just for the safety of the kids! I am sure he would have bought that…..not! We do have a lot of parallels, Rick… we seem to be separated (at birth? LOL) by about 10 years (I was born in 1960). Interestingly, one of my first forays into a 4 door car (was technically my ex’s) was a ‘98 Buick Regal GTS that we got after my own success with a ‘97 Grand Prix GTP (Coupe, of course). That GTS was bought from my Dad. My ex being a tech at a Pontiac dealer made buying these W-Bodies make sense. But when she and I were about to spit up, that’s when I went back to Ford with the Retro-Stang. One major difference is I don’t have kids of my own… Step children yes, but I didn’t go thru the need for a mini-van or station wagon phase. Perhaps my love of coupes outweighed any desire to have kids of my own. My wife currently says that was a shame, because after seeing me with her (our) granddaughter, she says I missed out on being a great dad. While I have the patience with kids about 4 (ok more like 12) years old and up, I don’t know if I could’ve made it thru the early years. Too late to find out now. But yeah, I’m lucky to still have my Dad around. And I really enjoy sharing the car stuff with him. That never gets old. He may have sold out a bit by having an Acura RDX and a Honda Accord EX-L, but he is still an enthusiast, and absolutely loves to drive. If he still had the aforepictured Mustang and posted here, I suppose his handle would be Retro-Stang Richard. ? Maybe Vince was right a few posts below… this QOTD should’ve went out on Father’s Day! My Dad has been gone for 12 years, but I have a younger brother who is a real car guy and a brother in law who is the best body man and painter that I know. My wife’s brother is a Corvette guy and does a lot of track day stuff. The town I live in has a population of 12 thousand and is full of car guys. We also have a very active local car club with 71 members that has been in existence since 1970 right after I moved here. I would post a picture of my ’09 Mustang if I could figure out how to post a picture on here. Of course my avatar shows my two old cars. Another thing we have in common is that I, too am on my second marriage. My first wife died quite young leaving me with 2 little girls. Later I met a wonderful lady with a daughter a year older than my oldest. We have been married 32 years and have had a great family life. The girls always wanted me to get a minivan but I told them they could buy one of their own when they grew up. Both wives have been very patient and supportive of my love for cars and both were always two door girls. My Dad could name about any car or truck we saw, so while other boys were collecting baseball cards and memorizing statistics, I was learning the names of everything we passed. Mostly Chevy’s and Fords, as that was what was popular in our area-I have learned so much about Mopar and the Independents since finding CC. We lived in the country, nine miles out of town, so our vehicles had to be reliable. Dad saw to this by having a gas station in our town do religious maintenance on all his vehicles (curious to me, as we did all the service work on our tractors and farm machinery, short of major welding/machine work). He regularly traded in his vehicles in good working condition at over 100,000 miles at a time when a 50,000 mile engine overhaul was the norm. The distances driven, which almost always allowed for adequate warm-up, probably helped. As did Mom’s attention to keeping them clean. And we drove mid-range models (a Chevy 210 in the 50’s, Bel Air in the 60’s, Malibu and Impala in the 70’s), all with the typical options of the time. So, despite my love for most things automotive, I now drive reliable Japanese cars that I can service and repair myself (within the limits of my own garage and hand tools) and keep running until they don’t, or they wear out. But not everything on the farm can be new, and old things aren’t thrown out or replaced until they are thoroughly worn out, or the increased performance and economy of a newer model can be justified. So we drove a really tired old flathead Dodge pickup until Dad found the 55 Ford, which was then replaced in ’65 with his first new truck, a C10 Chevy (with the sum total in options of heavy duty rear springs and a real heater, Whoo Hoo! ), followed by other new C10’s until his retirement in ’85. Now I get much more excited when I spot some old iron still on the road than when I see a new Tesla. I would take pictures, if I was a better driver-best leave that to the rest of you! Thanks, Dad. Buy good stuff and take care of it-a good system. My Dad has been gone for 13 years, but it seems like I still see glints of him whenever I spot an older FoMoCo convertible. I got the car bug from my Dad, bless his heart. He was a mechanic, but more than that, he was probably the best influence on me and my brother (and a lot of neighborhood kids), and cars were only a by-product. He showed us things, but didn’t lecture. He let us ask the questions, then patiently answered them or taught us how to do the things we asked about. He had the ability to identify make, model, and year of most cars on the road, and we just absorbed that ability ourselves. He quietly guided us, helped correct our mistakes, and patiently allowed us to become the adults we became. Because his specialty was the Ford/Lincoln hydraulics used in the Skyliner/Thunderbird convertible/Lincoln convertibles, those cars always catch my eye, and make me fondly remember what a great man I was lucky enough to be the son of. Imagine my joy at a car show a couple years back, when an elderly man had a 1957 Skyliner. He was local, and so was the car. After speaking with him, I suddenly realized that my Dad had worked on this exact car at some point 45 years earlier! It helps me understand that the world really is a small place, and we are all interconnected. If my memory serves me well, and it does, dad regularly drove the next vehicles with an internal combustion engine during my childhood years in the seventies: Sparta moped, Simca 1100, Benz W115 and W123 diesels, Hanomag-Henschel double cab pickup/flatbed truck, VW T2 double cab pickup/flatbed truck, Benz T2 double cab panel van, Frog DAF 4×2 truck, DAF 2200 6×2 truck, Scania 85 4×2 truck (the only conventional), Ford and Deutz farm tractors and a Hyster forklift. Only the Sparta and Simca were ours. He never worked on anything, no brand loyalty or preference whatsoever. He just stepped in or on any vehicle that was served to him, started it and drove off. I have no idea what my influence was if anything outside of my own mind. My father wasn’t a car guy at all. He may have liked a nice car but checking the oil would be a task. I do recall liking to build car models when young but I also built warplane and warship models. I don’t own any warplanes or warships. I’ve thought hard about this for close to a half hour as I’m also working and I can’t really come to any specific conclusions. I guess my tastes, preferences, opinions, and biases towards cars are a result of my every accumulating life experiences whether they be large or small. What I will say is that I grew up in a family that was usually pretty conscious about what they drove. It didn’t have to be (and wasn’t usually) an expensive or premium car, but everyone generally drove newer cars and only kept them for a few years. I’ve always seen cars as a major expression of one’s self image, which is why I tend to care even more about what I drive. A car is a lot like clothes, you “wear” what you feel like best suits you. Much of how I feel about a particular car is based from firsthand experience driving and/or riding in it. Had a series of Beetles, but his ’73 Bus not-quite-a-camper (no pop-up, but had fridge, sink, and range) was what I remember most. But he always liked El Caminos, and had a series of them too (I recall an early ’70s one moving us to my grandmother’s house), culminating in his current ’87 305/auto that gets all the love. My mom? Cars were/are appliances. She only learned to drive at the behest of my Dad as preparation to divorce her. Don’t worry, they remarried ~10 years later and are still together. I wouldn’t say my dad was a car enthusiast, but my earliest car memories would have been with his 1972 Morris 1300 in Barbados, then the road trips we took all over England in his 1978 Peugeot 504. I think I truly became a car nut with our collection of Corgi Juniors and Matchbox cars (the equivalent of Hot Wheels in the UK), which included among other things the first Porsche 911 and Range Rover I ever saw, and then when I got into model car kits when I was 10, that pretty much sealed me for life. What I learned from my parents was the price of neglecting regular maintenance, and a certain frugality by hanging onto cars until the wheels are near to falling off. My dad was prone to treating his cars no better than Dean Moriarty in “On the Road.” I also observed the folly of owning a MGA when the owner is not gifted for auto mechanics. The one thing good I did learned directly from my dad was the value of owning a truck, either as a (second) vehicle or as a truck. (Today he advocates using a minivan as a truck, but I’m not going there, dad.) Neither of them showed any brand loyalty or preference. I learned that cars were expensive and we never had a lot of money, so cars weren’t treated as bling. Even today there is a sizable gap between what I want and what I can afford. It was at a young age that I saw cars at markers or emblems of various stages of my life. Hence, seeing some good classic iron makes me nostalgic. That’s the primary drive for me reading CC–cars can be time machines or time capsules. The cars from the 1960s were the most memorable to me. How I remember cars was I read Cartoons magazine avidly (remember SuperWrench? ), and Charlton Comics (Hot Rods & Racing cars w/ Clint Curtis; Drag N Wheels (Scot Jackson)), and could draw the engines with superchargers pretty well. I built Revell models, and remember most Chuck Barris cars and made a Henry J funny car. The first BMW I ever saw was at college. I lusted for a 2002 that was already 10 years old. I wasn’t used to seeing or noticing a lot of foreign cars, although the little Japanese cars were noticeably smaller and distinct. The technology in today’s cars occasionally makes me feel obsolete, and they look less distinctively individual from each other, too. So I like looking at the old stuff and wondering where all the time has gone…. I hope you won’t be upset if I make a correction: George Barris was the car customizer whose work was featured in many Revell and AMT model kits. Chuck Barris was a TV game show producer. There was so much more to Chuck Barris than game shows: https://en.wikipedia.org/wiki/Chuck_Barris. For better and worse I am blessed and cursed with memories dating unusually far back into my very early childhood. My parents had a 1970 Dodge Dart, a butter-yellow 4-door with a tan interior, which I saw from the infant carrier tethered into the back seat (and heard: the sound of the gear-reduction starter cranking the Slant-Six engine). When we’d arrive home, mother would unstrap me and put me over her shoulder as she walked toward the front door. From this vantage point I could see dad closing up the car. The last thing he did after closing the driver’s door was to push the vent wing window closed from the outside. The vent wing window was both triangular and curved, and something about the way it pivoted closed struck me as uproariously funny. It was one of the first things I laughed about. The Dart got replaced during the 1978 model year, so sometime between Autumn 1977 and the following Summer. The new car was a ’78 Chev Caprice Classic in metallic claret red. Ack! Wrong colours and wrong shapes everywhere, it sounded wrong…I was inconsolable about it, at all of somewhere between 1½ and 2½ years old. I remember mother explaining to me, in that matter-of-fact way grownups sometimes do when they think there’s no chance the child will understand, that a Dodge wasn’t a good kind of car to buy any more (yeah, no kidding; Chrysler had supplanted the durable Dart with the awful Aspen, which began falling apart even before it was finished being put together). This odd attachment of mine to the Dart provided fodder for clever dinner table conversation; mother would joke that they “should have kept it so Daniel could take the motor apart someday”. Polite chuckles in the moment, but years thence I would indeed do that and then some, as it happened; not the Slant-6 engine of that particular Dart, but those of many others. Things that make you go “h’mm”; perhaps the physicists grappling with the nature of time are right with their recent conjecture that all moments happen simultaneously; perhaps time’s walls are thinner when one hasn’t yet learnt how thick they are. In any event, those very early memories of that Dart (and grandpa’s ’72) were very formative; I spent decades as a rabidly avid Slant-6 and A-body fanatic; it’s only just a few months ago that period of my life ended. You no longer own a slant six car Daniel? Say it ain’t so…. Not a one; used-to-be-my ’62 Lancer is headed to Australia. Still got some parts, which will be cleared out as time allows. For me it was a matter of where and when I grew up. Late fifties/early sixties Australia was an exciting time and place for anyone interested in cars. Living in the state capital, there was always a lot of traffic. Living on a main road I remember sitting on the front balcony before school watching the peak hour traffic. And after school too. Of course there were Holdens, but there were so many of them they were boring. The variety of other cars was amazing, from a little Goggomobile that always seemed to be carrying four people (slowly), to stately Jaguars; from the latest American iron to the occasional Model A. The variety of colours and sounds was amazing. Then there was going shopping. The local shops were in an area that had seen a lot of European migration after the war. It was possible to walk the length of the street and hardly hear a word of English. And who could blame people for wanting to speak their native tongue? The migrant community also tended to embrace the product of their home country – that made for one less variable in this strange land – so there were VWs, Renaults, Peugeots, Fiats, Skodas, the occasional Goggomobile or NSU, Lancia, Citroen and others. Those who made it big in the lucky country would often buy flashy American cars – so there were Fords, Chevys, Pontiacs, Plymouths, Dodges, DeSotos, and even the occasional Buick or Cadillac. And so brightly coloured, compared to the smaller cars. They just looked so wild compared to the staid blue Morris Dad drove. Yet they performed the same function – transport from A to B – and weren’t necessarily as much roomier inside as you’d expect. But they were much faster! And the sound of those V8s! Of course a kid would be interested. Two of my earliest memories concerned 1959 US cars. The first time I encountered a ’59 Chevy – those wild curving horizontal fins, with that huge sideways-teardrop taillight and the teeny little orange indicator light hanging like a roosting bat to the underside of the fin. Just fascinating! And a 1959 Pontiac convertible parked (facing the wrong way) outside a little back street milk bar. The driver got in and drove off just as we parked – the sound of that engine was wonderful. Nothing like the Morris’s droning B-series. It was a great time. You had to be there. So interesting. In the U.S., the red brake light on either side would serve as a turn signal. We never saw the hanging orange “indicator” that you refer to. ’59 to make flashing red only for emergency vehicles. Dredging into my childhood memories I remember ’57 Chevys flashed red, not sure about ’58s though. ’56-’58 FE Holdens flashed red at the rear, but that was changed for the ’59 FE. Apparently I started young. Per my parents our first home was on a busy Detroit street and I used to stand at the screen door all summer starting at about 2 years old and shout out ‘car!’ Or ‘truck!’ When either went by. Been hooked ever since. And of course a decent allowance and a nearby hobby shop that sold lots of model cars only encouraged me as I got older! Thanks to everyone who shared their stories, they were all great reads. I know this was a bit of a more opened ended question, but reading peoples stories about the cars in their lives is the best part of CC. Seeing how many people were influenced by their dad’s, I should have posted this on father’s day! It’s pretty well accepted that our early life experiences shape our personality. Diving as far back as I can go into my memory my first reliable recollection of a car in my life was my Father’s spanking new ‘59 Impala. It was a black two door hardtop with a red interior. It had the base 283 V8 with a Powerglide automatic. It seemed so low and racy to my five year old imagination, and that fabulous crossed flag emblem, Wow! It serves me well that my first memory was of a car that was definitely cool and sporty. Not a dull sedan, or a station wagon. This was back in the late 1950s so there were no minivans or Camrys for that matter. It planted the seed of the idea that your car should be something beautiful, sporty, and desirable. There were plenty of used car lots along E. 14 th. St. and my Dad would stop and let me look around a bit when something caught our eyes. I’ll never forget the time we looked at a Model T that was for sale. I was probably in the first grade and he let me sit behind the wheel. The T was probably only a little over thirty years old at the time, and was in pristine condition. I pleaded with him to buy it for me, but of course he didn’t. In the early 1960s the imported motorcycle craze was just starting out. Even Montgomery Ward had these tiny scooters and motorcycles for sale at their auto center. Of course good old Dad took me to see them. He even let me sit on them, grip the bars, and over rev my imagination! It was common back then to let your kids drive around empty parking lots. So Dad showed me the finer points of controlling the car and sat beside me as I maneuvered our new ‘64 Pontiac Tempest station wagon around the empty lot. That Tempest was white with a red interior, with a 326 V8 and automatic transmission. In my mind it was as good as any GTO. My Dad even brought home a surprise one night. A 1965 Honda CB110 50cc. Scrambler, I was in the 6th. grade and my Dad taught me to ride it on the neighborhood streets. After I was busted by the cops, we would load the Honda into the Pontiac wagon and he would take my brother and I to an empty lot next to the Alameda drive in. There we rode around and around honing our skills. We later both became avid motorcyclists. Dad has been gone for quite awhile. But the example that he set for me helped me to become a more mellow Dad with my own kids. It also made me a dyed in wool gearhead. Thanks Dad. Take a listen to Alan Jackson’s “Drive for Daddy Gene,” and you can relive my feelings. That’s an outstanding question. I mean just look at the answers! I see a whole bunch of future COAL authors right here. Re the QOTD: it may have been a reverse influence for me I was born a car nut and my parents had no car until I was 16. They asked me for advise. I suggested a Renault 4 TL and that is what they bought. The whole family loved that thing and my current ride, an ’05 Pontiac Vibe, is a successor in spirit: a small 5 door hatchback that excels in utility. I grew up with a 1987 Saab 900 and a 1970 Dodge Dart. Mom upgraded to a new 1995 Plymouth Voyager and Dad upgraded to a 93 Subaru Legacy by the late 1990s. My folks tend to keep vehicles until the vehicles are too rusty to pass safety inspection. I quite liked the Dart, 900, and Voyager which left an impression on me. Love these stories y’all and Wolfgang is right: these could be CCs in their own right! I always wondered how I got interested in cars, dad did buy some interesting models over the years though he was far from a gearhead. Around age 11 I started getting interested in cars, liked the ’66 Toronado when I first saw one, and got good at following Cadillac fin development and year placement from ’59 to ’64, and was equally skilled at ’59 to ’69 Impalas and ’60 to ’69 Galaxies and LTD model year ID skills, along with a few other cars. First time I paid attention to VW’s was around ’65 when a friend and I saw a Beetle T bone a ’59 Plymouth station wagon. The Beetle’s hood, bumper and front fenders were really caved in, the woman driving had a bloody nose, her young son was in the back seat and was fine. What I remember most was the Plymouth only had a good sized dent in the passenger door and no other damage. My friend called the Bug a pregnant dollar skate. In 1966 dad bought mom a new ’66 Beetle, a few months later bought himself a ’67 Continental, 2 door silver with black vinyl roof. The Lincoln only stuck around for about a year, the VW moved from Portland to SoCal when the family moved in ’67. In ’72 the Beetle became my first car, I totaled it about 9 months later. My brother had a ’56 Bus he bought around 1970, so of course it was constantly needing repairs and I was recruited help, many times pulling and installing engines by hand, using wood blocks and old car jacks to wiggle them in and out. I was hooked, and owned a series of air cooled Bugs and Buses through HS and was the VW guy in auto shop. As a senior I bought dad’s ’65 C10 and sold my ’63 Beetle. Come graduation time, my HS auto shop teacher got me a interview at Plunkett VW, and I started my VW career that lasted until 2008. I sold the C10, bought a ’73 Sport Bug, then a ’66 Sundial Camper Bus and finally another ’66 Fastback and sold it in ’76 to buy my ’70 C10 stripper, which I had until 2006. In ’79 I bought another ’66 Fastback with the engine in a box, rebuilt the engine and started using VW’s for work cars, since gas had hit the insane price of a dollar a gallon! Around ’82 I sold the Fastback to my dad, and bought my first water cooled VW, a ’75 Rabbit with AC. Totaled the ’75 a couple of years later, bought a ’77 Rabbit to replace it, totaled it in ’90, replaced it with an ’80 Jetta, wanted AC and manual trans so replaced the ’80 Jetta with a ’86 Jetta GL in ’91, was my work car until retirement in 2008, and is still my daily driver today, over 300k miles now and still runs and looks good, original engine, trans, paint and interior still looks good. Bought my third and probably last truck brand new in 2004, a ’04 Nissan Titan, was working for a Nissan dealership back then. Hope to stick with current fleet until the driving days are over. Really need to drive the Titan more, only has 16,467 miles today in 2018. Still looks and runs like new. Only repair besides recalls was a new battery after 12 years. My Dad loved cars, going back to the first one bought when he was about 14 – I believe it was a Whippet (Willys-Overland). The car he loved the most was this 1940 DeSoto convertible below, acquired when he came home from WWII (Marine in the Pacific). I have more pictures of the DeSoto than any our family ever owned attesting to his affection for it. My favorite car he owned was a 1965 Thunderbird. His aspirational car was a new 1978 Mark V Cartier edition. And his last car was a 2001 Nissan Frontier. My Dad was a gearhead. Most of his career was as an iron and steel foundry worker (proud member of the United Steelworkers (USW). But he also was a mechanic at his friend’s Nash dealership for a couple of years when I was little. And he was always working on cars, trucks, or tractors (those big Motors Auto Repair Manuals all over the garage – I got rid of the last one he’d saved when I cleaned out his last home 14 years ago). My paternal grandfather owned a gas station before I was born and also was quite mechanical and loved cars. Despite the heritage, I never had any mechanical ability, much to my regret then and now. But the interest in cars was intense from the earliest age. I could identify every make and model almost from the point when I started talking. I suppose when cars are talked about constantly at home (my cousins ran a bodyshop, too), that happens. Also, growing up in a small town in northern Indiana in the 50’s – cars were a huge part of the culture. We weren’t that far from Detroit and related manufacturing of automotive components was spread throughout our state. South Bend (Studebaker) also was nearby. In addition, SH (Wacky) Arnolt (creator of the Arnolt-Bristol sports car) operated a foreign car distributorship in our county seat during these years. You wouldn’t expect to see a lot of foreign cars in northern Indiana in the 50s and 60s but thanks to Mr. Arnolt, there were quite a few. For example, my 3rd grade teacher drove an MG Magnette sedan purchased by her late husband from Mr. Arnolt. Our tiny town even had a two Mercedes-Benz household; one of the cars was a 1958 190SL that I got to drive years later as a teen. Probably why I started out owning three VW Beetles by age 19. My family knew what I liked and every birthday and Christmas and lots of days in between I received toy cars, model kits, you name it. Still have a collection of some of them. I got my first subscription to Motor Trend at age 11 and kept it going for a good 40 years until I finally accepted it was no longer worth reading. I spent hours poring over the JC Whitney catalogs for affordable accessories for the Beetles. I haven’t owned nearly as many cars as my Dad because I keep them a lot longer than he did – living in southern California since 1972 and modern technology have made that pretty easy. But I spend lots of time reading about cars and watching auto-related YouTube videos – and loving cars just as much now as I did as a little kid. Love the DeSoto. 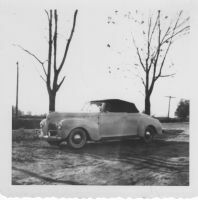 My paternal grandmother went through the war with a blue 1941 DeSoto convertible. And my maternal grandparents’ first car was a Whippet touring car. Although they were pretty popular at the time (a Willys-Overland product) they have become quite obscure. No one seems to know where I got my fascination with cars. None of my relatives were particularly car-crazy, even to this day, many of my relatives are car-agnostic. From a very young age (I’m told) I would get very excited when I saw a car. I would make vroom vroom noises and point at the car. My father had grown up on a farm, could do mechanical things, but was far more inclined to go hunting or fishing on a day off. But, he humored me and bought me many Matchbox and Hot Wheels as a young child. It only stoked my interest further. It worked out well for him, as I took care of the family cars far better than he ever did. Somewhere approaching adulthood, I became the family car advisor; I’m the youngest of four siblings, but they all asked my advice when it came time to buy. Not that they necessarily took it, after all, I’m the baby of the family… LOL! All of my friends and family know me as a car guy. If they need help doing something, they tap me on the shoulder. I don’t mind, my life long intrinsic interest in cars and anything about them just makes it fun for me. I think I have always been a car guy for some reason. My grandmother always had a color picture in a frame on a table of me taken in about 1950 when I was 2 dressed in a tweed jacket and cap. I am holding a chrome Indy type race car with red wheels. I am not looking at the photographer, my eyes are on the car. I sure wish I had that picture and the car now. My first car memory is a vague one of me helping my Dad brush paint his ’40 Ford Standard sedan. Mom always said I was weaned on cars as I got to help Dad with the paint job if I gave up my bottle. Dad was always good about telling my brother and I about how things worked on cars and would help us identify different cars when we were travelling. One thing that might have really cemented it for me was when Dad got transferred from Indiana to Illinois in his job. We rented a house in a tiny rural town. One of the boys in the neighborhood who I became friends with was the son of the local junkyard owner. We used to sneak in through the fence in the back and play in the cars. That was in 1953. I have often wondered what some of those cars were. Mom always said that I was fascinated by junkyards as a boy. She was right and I still am. I started working on cars when I got my license and my first car, a ’51 Chevy. Dad would stand back and let me do my own repairs. Then when I screwed something up he would step in and show me what I did wrong and help me correct it. My paternal Grandpa was also a good source of info for fixing my car. Actually my childhood experiences with cars didnt shape my own tastes too much, except for two things. I got into the trap of buying new every three or four years in my 30’s, just like my dad, and an affinity for Chevy pickups. Grandpa’s ’53 3600 farm truck was the first stick shift I drove. Grandpa was a Sicilian immigrant and never made much money. The extended family all drove GM, but my first car was a VW. Dad accepted my decision, but would have been happier if I had chosen a Corvair. Later, everyone moved on from GM and owned other makes. The only man in our family that did any work on cars was my mom’s older brother. The rest took cars to the shop. Uncle Don acquired another Chevy truck, a ’29, that he let me work on. To this day I rarely pay others to work on my vehicles. Seems like it started since I was about 2 or 3, only being amplified as I got older. My dad would be a big influence for this, taking my brother and I to the New York International Auto Show every year. But I was exposed to many different cars growing up. My father only had Nissan and Toyota, my uncle had a wonderful 70’s Mercedes Benz that I loved as a child. My grandfather was a Ford man, and I had another uncle that drove Oldsmobiles mostly. After growing up around different cars and then parking them in college, I started going after BMW’s and have had a thing for them, eventually owning one for a year. One thing I did get from my father is the preference of driving manual. Even though he doesn’t have one now, he sometimes thinks about having another one. My grampa was a mechanic specialist in Ford Flathead and for fun he would build race cars. My dad also had a repair shop and he and his brother got themselves involved in many different kinds of car racing. It is really hard for a boy growing up in this kind of environment not to become obsessed with cars. A couple years ago, when my uncle passed away, my dad inherited his 1972 racing VW Beetle. The car is going through a restoration and as soon as I get some pics I will post here. My parents always bought “Old folk’s” cars. My mom was slightly more adventurous than my dad, her cars were an unknown Olds, a ’60 black New Yorker, a baby blue(yuck) Caddy, a ’72 Cutlass Supreme, and a ’73 Cutlass Supreme, in an awful misty blue. Her last car was a baby blue(Sheesh!) ’77 Caprice. My dad’s cars went from another unknown Olds, A 63 and a 66 T-Bird(those were the cars that probably led to my dislike of Fords) to a Bronze Imperial with a Roadrunner’s 440 Magnum cam in it, and finally a ’69 Cadillac that was totalled in ’73, But our neighbors and friends had a lot of cars I really liked. One of the first GTOs in town, that was humiliated by the other neighbor’s 413 Belvedere, A neighbor’s red ’69 or ’70 Charger R/T that sounded great, but never ran quite right. 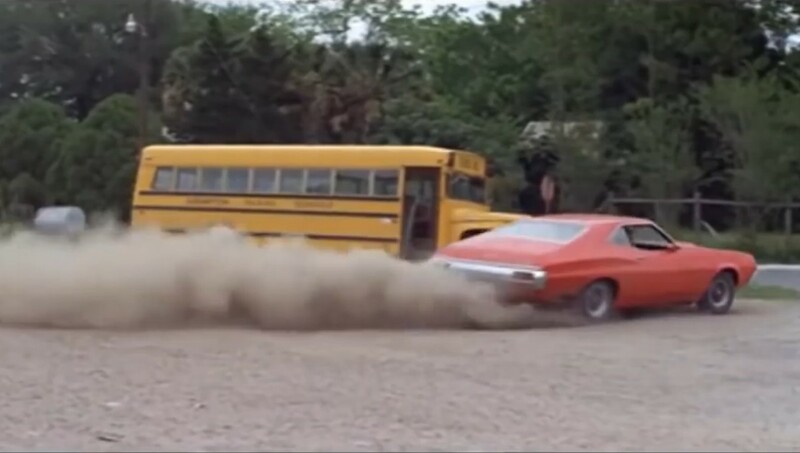 My sister’s best friend’s future hubby had a yellow Challenger 340 with a 4 speed that he bought right after the Challenger came out.. Another friend’s boyfriend had an orange Roadrunner with a built 440 and that was the fastest of all of the above cars, and it sounded fantastic. I loved hearing it come out of the garage about 8am on weekdays. I only rode in it a couple of times, but it sure made a big impression on me. I grew up surrounded by weird cars 😀 ! Lessee… several Checkers including at least 2 Aerobusses and a brand new special ordered ’69 Marathon, a ’67 Saab wagon with the Monte Carlo engine, a ’69 Sonnett II, a ’72 Suzuki Mini Brute, and a couple of Citroens, a ’63 Ami6 and the rarest and awesomest of them all, a ’63 ID19 Cabriolet. When my father brought home the ’72 Pinto after the ’73 Arab oil embargo I asked him if he was feeling OK… :D! All this probably explains my penchant for less-than-mainstream cars… I like Edsels, Studies (the first car I ever rode in was a ’60 Lark), and Non-Mustang Fox bodies (currently own the rarest of the rare Fox bodies, an ’85 Marquis LTS, one of 134 built).